Isherwood · 611 days ago · link · · parent · post: If someone gives you a badge, can you then give it away? Wait, so I got one, which put me up to four, then I gave one, but I still have four? You wear badges, you don't pawn them. This is why I look like a central African despot rather than being rich. But it would send the wrong message. The point of a badge is to increase the recognition of something particularly noteworthy. I badge things that I think are worth more than merely sharing. I badge things that are going to be with me for a day or two. I badge things that I want more people to see, to discuss, to talk about. And that recognition is something you earn the right to grant, by demonstrating your own ability to create or share noteworthy content. Your insight earns you badges, or your ability to find thought-provoking content on the web. 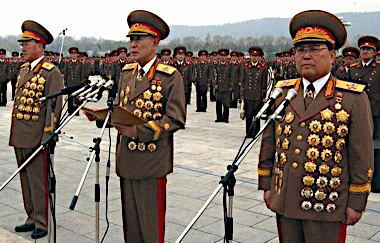 Badges shouldn't move, they should proliferate... but not too fast, or else they cease to be special. So as it is, I earn a badge, I give it to your content, your content has been badged (which is different than having a badge to give) and everyone can see that badged content. Under your system, I earn a badge, I give it to your content, you give it to something else, and the content I badged is no longer badged. In order to use the badge the way you want to, you're effectively negating my opinion on your content. You're saying "this is no longer noteworthy because this other thing is more noteworthy." Though I am really intrigued by the idea of visualizing social currency now. Ahhhh, yes. I didn't think through what would happen to the badge. You don't get to give away badges that your content has been given. So the thing that says I have 4 badges isn't telling me I have four to give away? I'm always really hesitant to badge people because I thought I only had 3 and didn't want to waste them. Badges received from others and the badges you earned by persisted posts and comments are in different counters. One does not influence the other.